I really liked this chapter in the story of God! 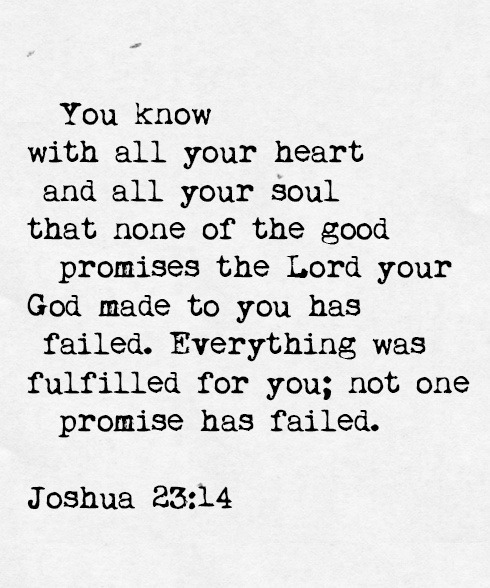 If someone were to ask me, “What’s the book of Joshua about?” This is what I’d say! It’s the story of Joshua, successor of Moses, leading the people of Israel to the land God promised them way back in the day. The Israelites FINALLY-after all those years wandering around in the wilderness, and dying off-FINALLY get to enter the promise land. But they don’t waltz in to their new home sweet homes, no. There are already people living in this (BEAUTIFUL (ch.15!)) land, so there need to be quite a number of battles to conquer the land listed. And Joshua is the human instrument God uses to lead them. God establishes how Joshua is just as much a leader as Moses was through Josh doing similar miracles (parting a sea sounds familiar-ch. 3) and having similar experiences (holy ground 5:15). The people trust him and follow him. He’s not perfect. Sometimes he acts before he thinks (Josh-I soooo get you) and when he makes decisions without consulting God first-they often go very wrong. Fortunately, though he is in charge over battle-which is a very difficult thing I imagine, he has his God to be the one to fight. God is the Divine Warrior, who is faithful to his people and matchless in power. To the one who is uncomfortable with the war in this story, I say this: War is a part of life on this fallen world until the Lord returns. But know that with God, it has NEVER been about racial or ethnic concerns that a nation is blotted out-instead-it is always due to injustice and immorality. Sometimes, that even means striking his very own people! (Ex. 32., Num 25:9, 26:65). 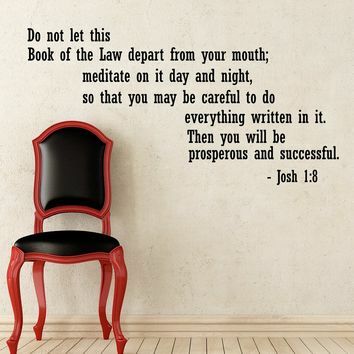 Even in this book, God’s people are still constantly encouraged to know and obey the book of the law (1:8) and to do it with all their heart (24:14). 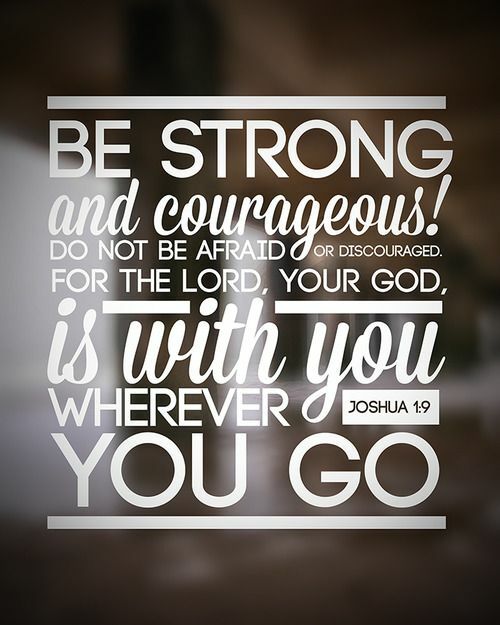 I was definitely encouraged to obey, love, and cling to the Lord wholeheartedly through the book of Joshua. It’s a phrase I’ve heard a lot, used a lot, and yet-not thought about a lot. What does it mean to guard my heart? When I give that advice to others, and to myself…what am I actually saying? Okay, that’s not exactly what surfaced in my imagination-but it’s pretty close. The french warning “en garde!” is a term in fencing translated “On [your] guard”. It is a call to a fellow fencer to adopt a defensive stance in readiness for an attack or bout. It’s what I shout to my brother just as I am about to hit him with the empty Christmas wrapping tube! Be prepared for an attack! Hm. So that’s what I’m telling people do with their heart? Guard it, because it is going to be straight up attacked? Yes. That is precisely what we should mean. Guard your heart, your valuable heart, because there always is something/someone attacking it. Guard your heart, your seat of emotions, constantly-KNOWING that it is going to be attacked! To guard is to be alert, attentive, and ready to fight. And we fight with the sword of truth-read God’s word constantly! Hear God’s truths through pastoral wisdom and encouraging friends!! Believe God’s truth by acknowledging the lies you are tempted to believe and walk yourself to what is Truth. Don’t be a sucky guard for your heart. And for goodness sake, fight to protect the heart you were given to guard.